I read this novel many years ago and saw the movie with Sandra Bullock and Nicole Kidman (great soundtrack!). Even if you've seen the movie, the book is worth the read. Like most film adaptations, the book is better. 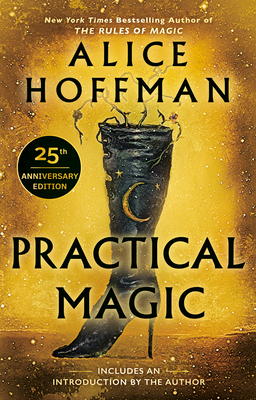 I just reread Practical Magic now because after 20 years, the author has written a prequel called The Rules of Magic that tells the story of the aunts. Set in the turbulent 60's the new book captures the heady new found social freedoms. No need to read them in any order, and the new hardcover makes a great gift. The Owens sisters confront the challenges of life and love in this bewitching novel from the New York Times bestselling author of The Rules of Magic and The World That We Knew. Alice Hoffman is the author of more than thirty works of fiction, including The World That We Knew, The Rules of Magic, Practical Magic, The Marriage of Opposites, The Red Garden, the Oprah’s Book Club selection Here on Earth, The Museum of Extraordinary Things, and The Dovekeepers. She lives near Boston.